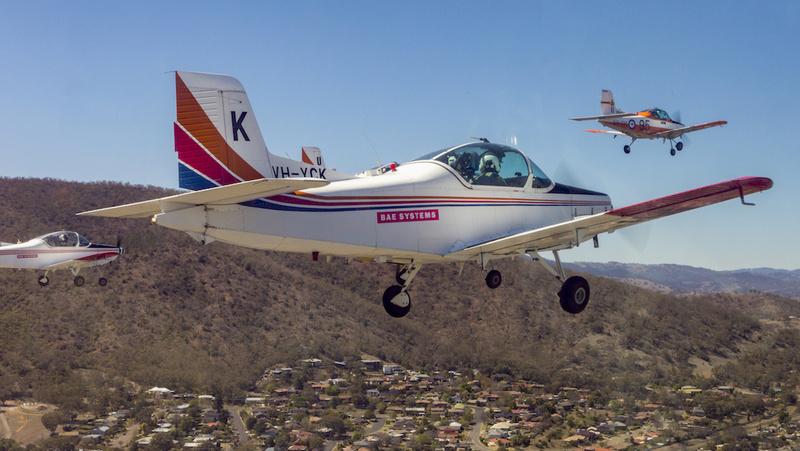 For almost three decades, Australian Defence Force (ADF) student pilots have undertaken initial flight training on the CT-4 Airtrainer. That era is approaching an end. 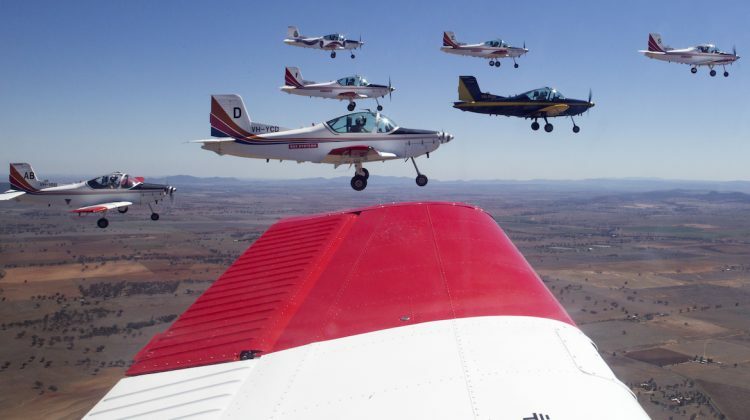 To mark 27 years of operational service, 30 CT-4A and CT-4B training aircraft conducted a mass display over Tamworth in northern New South Wales on September 21. That may be a world record for a flypast of identical aircraft. The much-loved aircraft are referred to locally as ‘parrots’ and by some Defence personnel as ‘plastic parrots’. BAE Systems Australia, which operates Flight Training Tamworth, home to the ADF Basic Flying Training School, has provided initial training for more than 5,000 basic pilots and flight screening candidates since it began operations in 1993. In that time, its fleet of CT-4B aircraft have flown more than 320,000 hours. It’s not just the ADF personnel. 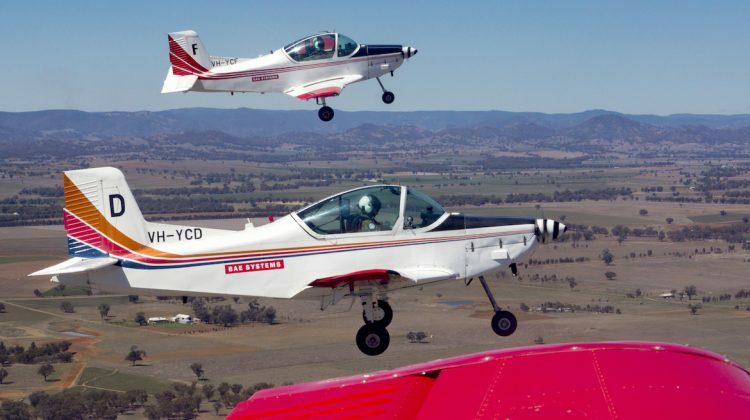 The school also conducts initial flight training for pilots for the Republic of Singapore Air Force, Royal Brunei Air Force and Papua New Guinea Defence Force. 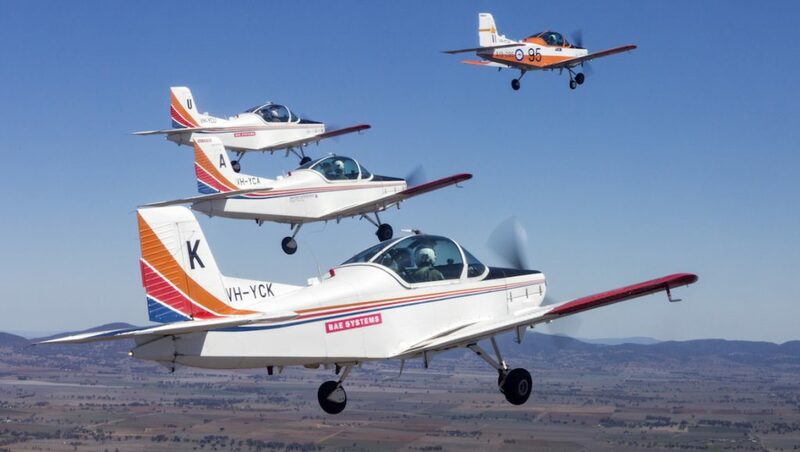 “Undertaking the flypast and aerobatic display with the Royal Australian Air Force recognises the enormous contribution of our team at Flight Training Tamworth and these truly amazing aircraft,” said Steve Drury, BAE Systems Australia Aerospace and Integrated Systems Director. For the ADF, the school conducts initial flight screening to assess aptitude of those seeking a Defence flying career. 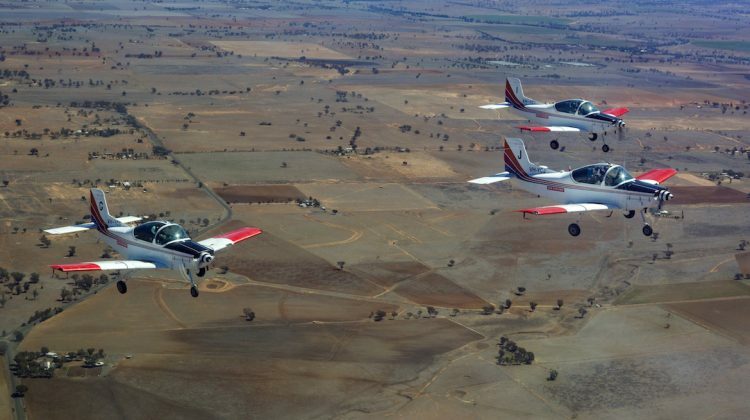 Then it conducts basic flight training for Royal Australian Air Force (RAAF), Army and Royal Australian Navy (RAN) personnel, who then proceed to specialised training on helicopters and fixed-wing aircraft. Following a hard-fought tender contest, Defence announced in 2015 that the new pilot training system would be provided by Lockheed Martin at RAAF Base East Sale, Victoria and Pearce, WA using simulators and a fleet of 49 new Pilatus PC-21 aircraft. 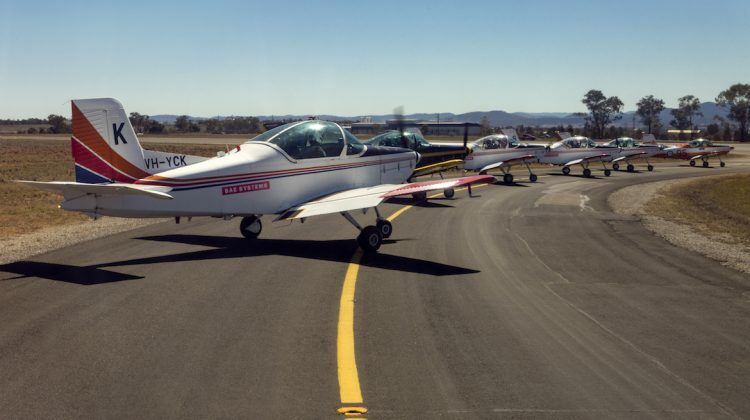 That meant an end to Defence flight training at Tamworth, though BAE Systems says it will continue to deliver services to Flight Training Tamworth civil customers as contracted until mid-2020. In October 2017, BAE Systems announced it planned to lease part of its Tamworth training facility to CAE Oxford Aviation Training Academy for training of commercial pilots. The initial undergraduate pilot training “wings” course on the PC-21 at East Sale is planned for early 2019. For a defence force aspiring to fifth-generation status, the PC-21 is a much more modern aircraft than the Pacific Aerospace Corporation CT-4B, a New Zealand-made descendant of the Australian Victa Airtourer which first flew in 1959. In July 1972, the RAAF announced the CT-4A would be their new basic flight training aircraft, replacing the CAC Winjeel. It ordered 37 aircraft. In all, 51 served with the RAAF. With a contract to provide ADF basic flying training at Tamworth, BAE looked for a new training aircraft and settled on the CT-4B. That required the line to be reopened for production of 12 new aircraft, supplemented with 14 ex-Royal New Zealand Air Force aircraft plus four acquired from private owners, making a total of 30. With the RAAF no longer needing its CT-4s, it staged a massive auction, with 36 going under the hammer at Bankstown in May 1993. These were speedily snapped up with prices ranged from $42,000 to nearly $70,000. Many remain on the Australian civil register. 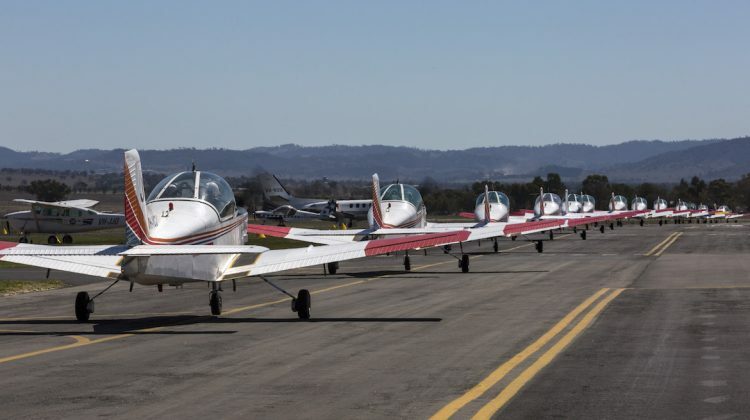 “For almost three decades, Australian Defence Force (ADF) student pilots have undertaken initial flight training on the CT-4 Airtrainer”? It’s been over four decades. CT-4s were training pilots at Pt Cook in 1978 when I joined the RAAF, and had been doing so for some time before that. Perhaps it has been 3 decades at BAE?